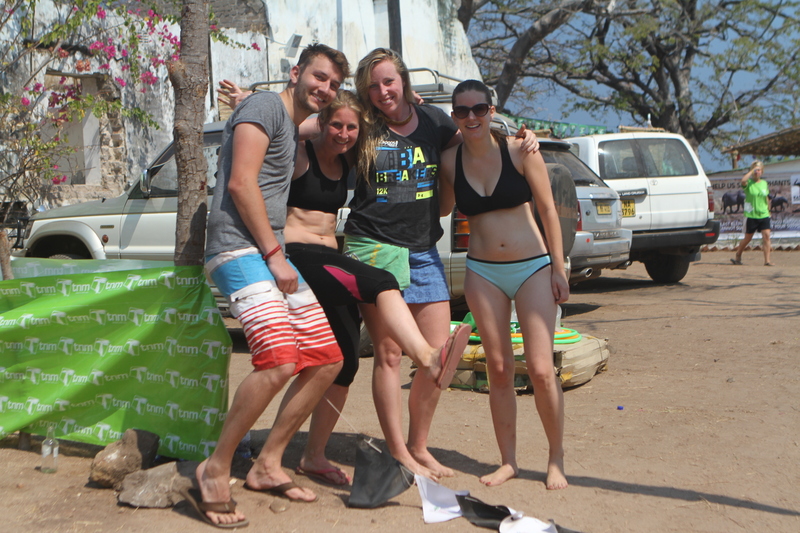 The other day I re-posted my friend Lauren’s brilliant summary of the Cape Maclear Triathlon which was the perfect overview of a great weekend. It was refreshing to be part of an event with a slightly more ‘laissez-faire’ air about it. The organisers had done an amazing job with transforming the venue (a large abandoned lodge resort that felt like it could be a perfect party venue, Ibiza stylee) and getting the course sorted. 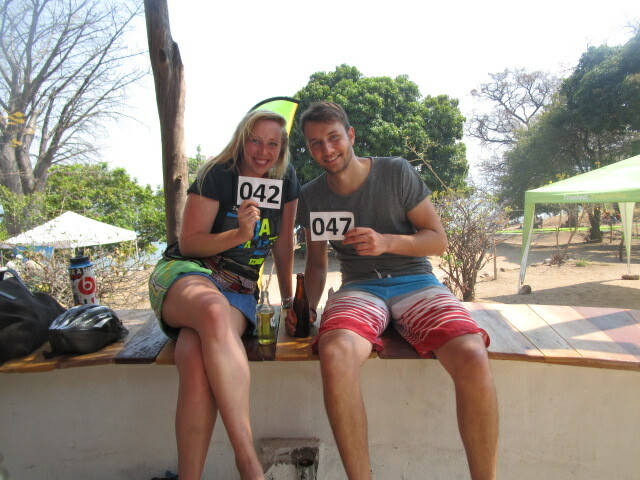 We were ready; pre-swim the water was scoured for crocodiles (don’t worry they don’t tend to hang around these waters ;-)! ), we’d found our rented bikes…. it was fine that your brakes didn’t work, helmets were not part of the kit list, timing chips definitely did not feature, drinking water was sporadic… but at least the bar was in full flow early doors. It was fun, relaxed and rather warm on the run – but refreshing in the lake. The local villagers probably thought we were crazy. We shared the course with the mischievous baboons and grazing goats. 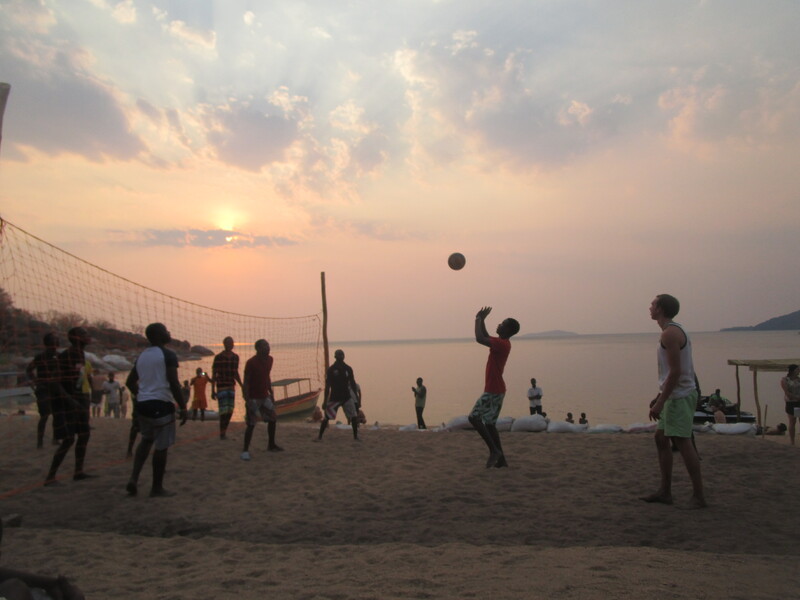 There was something for everyone; island swims, canoe racing and volleyball, then dancing into the night with local music and DJs. Our working week at the Funky Cichlid that followed was a little ad hoc with the daily power cuts. 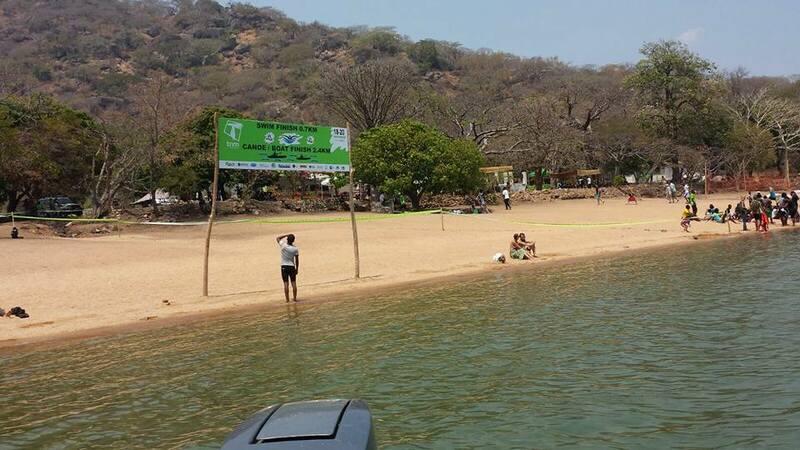 We were staying ‘lake-side’ because of another big date in the Malawian calendar The Lake of Stars Festival – Malawi’s very own Glastonbury,..kind of; a 3-day event on the lake celebrating the culture, art and music of Malawi. 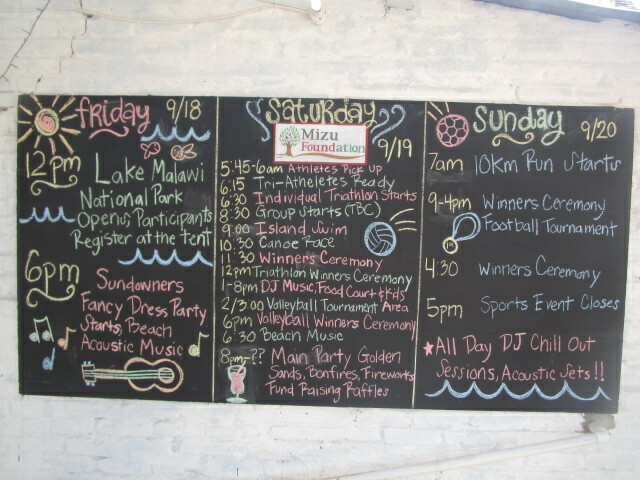 It’s in it 9th year and has had various locations but surely a lake setting complete with sunrise and sunset is the only place for an event of this kind. There was something for everyone; chilling, local music, poetry and a lot of dancing. Of course a party wouldn’t be complete without the trusty neon face-paint, which as many of you know, travels with me far and and wide. This was no different and in fact was a key ingredient to the weekend. It certainly made its mark and we had a queue of ‘festival friends’ waiting to get a piece of the neon love! All in all, a great 3 days and something I would highly recommend planning a trip around if you happen to be passing by next September! 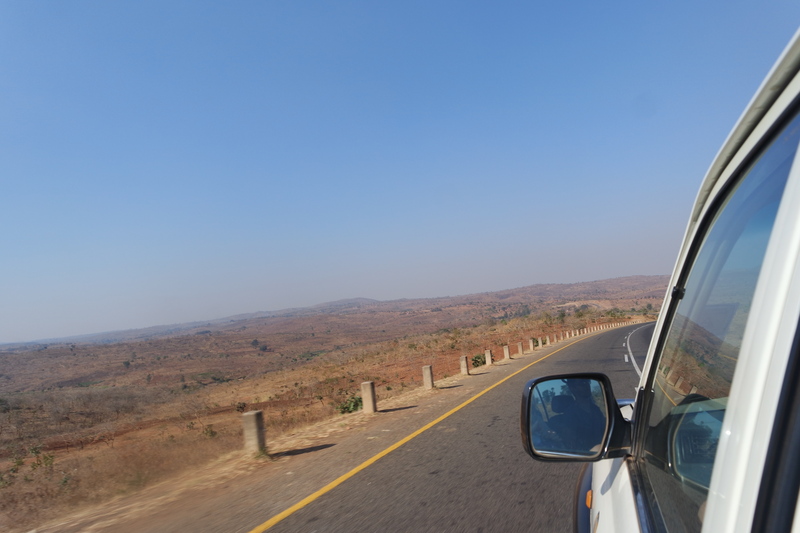 Phrase of the week…Tio-nana-mawa – see you tomorrow My chichewa learning is slow but steady! Always carry your driving license on you when driving…the police will make any excuse…#bribery! I have finally learnt how to convincingly open a bottle with no opener (they are rare to come by here) – I was told this was a very important ‘lesson 1’. Perhaps most important of all…. Neon really is is another of man’s best friends. ‘The Good Choice Band’, playing their new songs!